What historic sites are doing great interpretation? Behind the Velvet Ropes tour at the Gamble House. That’s a question I’m often asked by my clients and while I can usually rattle off a half dozen examples, it’s usually not very satisfying. If I suggest a ranger-led tour of Mesa Verde National Park in Colorado, the behind-the-velvet-ropes tour at the Gamble House in California, and the Dennis Severs’ House in London, you can quickly see the problems—you need to experience them to understand them, plus they’re thousands of miles apart. Although I’ve been working in Charleston, South Carolina for more than a decade, it was just this past month that I realized that it’s an ideal place for experiencing a wide range of interpretive approaches for historic house museums. In November, I joined Mike Buhler, the executive director of San Francisco Heritage, in Charleston to study a wide range of interpretive methods, from guided to self-guided, from furnished to unfurnished, from exhibits to period rooms, from grand mansions to humble cabins. 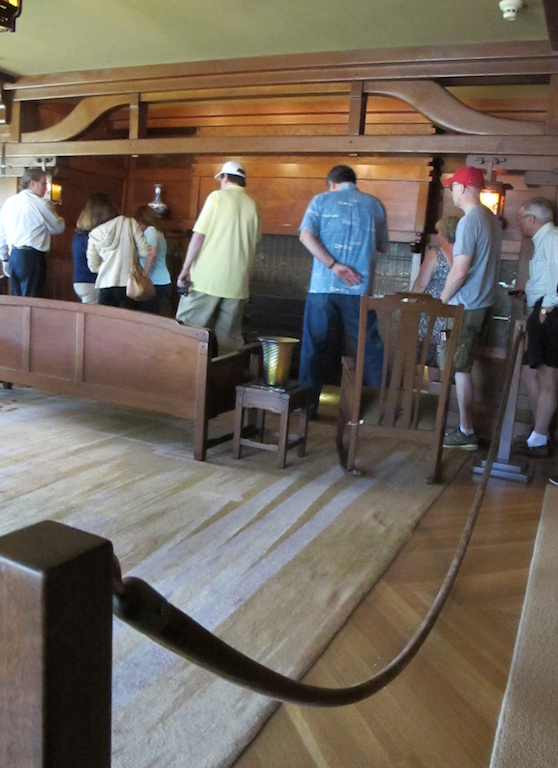 Heritage is in the midst of re-interpreting the Haas-Lilienthal House, so Mike found the research trip to be incredibly helpful because it showed him various possibilities and clarified what methods would be most effective for his historic house museum. This entry was posted in Historical interpretation and tagged Aiken-Rhett House, Charleston, Drayton Hall, Inn at Middleton Place, Middleton Place, Nathaniel Russell House, South Carolina, William Aiken House on December 10, 2014 by Max van Balgooy.